Glenn becomes the substitute teacher for Sistine's and Rumia's class, after her favorite teacher retired. He was once a famous assassin and was the one who saved Rumia Tingel prior to the series. He was once known as 'The Fool' said to be an amazing magician killer working for the Alzano Imperial Court Magicians. Glenn was adopted by Celica Arfonia who he had lost his family due to an accident. After a while, she soon came to love him as a family. She began teaching him all she knows about magic, which fascinated him. 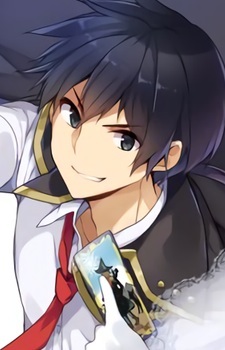 Even though he doesn't have a strong sense for mana manipulation and chant reduction, he was enrolled to Alzano Imperial Magic Academy at age 11 and graduated at age 15. 11 Anime Starring Grown Adults! These 11 entertaining anime put adults in the limelight.